“Ping” … the fasten seatbelt sign turns off, people start moving about the aircraft cabin, the door opens and you immediately know you’ve arrived. The warm tropical air penetrates the previously air-conditioned interior, sun streams through every window, and the smiling faces of the airport crew welcome you to a holiday idyll. 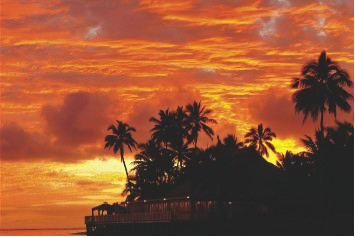 If it’s non-stop action, vast shopping malls and casinos you’re after, skip Rarotonga. If, like me, you want a totally stress-free holiday, indulging in tall, cool cocktails (at any time of the day) and great island cuisine, then you’ve found heaven. If you enjoy listening to the waves breaking on an ancient reef just metres from your beachfront accommodation … then Raro’s your kind of place. The idyllic Cook Islands are a Pacific Island nation consisting of 15 islands spread over two million square kilometres of sparkling ocean. The permanent population numbers well under 20,000 so it’s not hard to “get away from it all” and find your own quiet slice of paradise. Rarotonga, the main island, is a raised island cone surrounded by fertile rainforest leading down to an encircling barrier reef. The island of Aitutaki – officially known as an almost-atoll – is another popular destination within the Cooks, especially with honeymoon, wedding and anniversary couples. And there are other untouched islands the intrepid traveller can also visit, such as Atiu or Mangaia. With a flight time of around 3.5 hours from Auckland, it’s easy to see why so many Kiwis choose these pristine islands as a welcome escape from it all.? ?Our Air New Zealand flight had us landing mid-afternoon to a very welcome temperature in the high twenties. Once you’ve been ‘lei’d’ by one of the many ever-smiling locals who greet arriving passengers, an efficient system of transferring visitors to the correct resort soon has you out of the airport and on your way to your paradise island holiday. Our accommodation was on the opposite side of the island from the airport, yet it was still less than forty five minutes from collecting luggage to digging out the swimsuits. While there are many options for accommodation on Rarotonga, ranging from backpackers to sheer indulgence, our picks would be The Rarotongan Beach Resort & Spa on the island’s southwest coast (right in front of the island’s best snorkelling, and where you get to see the hot tropical sunsets! ), Pacific Resort, The Edgewater Resort and Spa, Te Vakaroa Villa and Rumours of Rarotonga. There are also bungalows and units to rent, some right on the water’s edge … like the Aro’a Beachside Inn with its casual accommodation, own bar and a host who isn’t sure if he’s Hawaiian or Rarotongan, but who’s great company nonetheless! No matter what your budget or style preference, you will find something to suit. I must say that I love the villas-within-a-resort idea as these offer families the option of self-catering while still having access to the resort’s facilities. Rarotonga became a New Zealand dependency in 1901 and, although it is now a self-governing state, it still shares many ties with New Zealand. Currency is one of these ties, with New Zealand dollars freely traded. It’s rather pleasant to go on a spending spree or merely purchase groceries and not have to grab for a calculator to figure out how much you’re spending! The main road in Rarotonga runs 32km in a full circle around the island, so you simply cannot get lost as you always end up back at square one. Like many visitors, we hired a car, but scooters and bicycles are in abundance, too. All forms of motorised transport require a local licence – a fairly painless procedure undertaken at the Police Station in Avarua, the Island’s main township. For $20 you are given a credit card style licence complete with photograph (taken while you wait at the police station) valid until your next birthday. The speed limit on the island is 60kph (40kph in town) and you really don’t want to be driving any faster than that … the roads aren’t wide, and the Islanders and their pets tend to meander. You can snorkel off just about any beach you’re passing, but there are a couple of areas where a break in the reef makes it more dangerous. The best spot we discovered was on the southern side of the island, about half way between Avarua town and the Pacific Resort, at a place known as ‘Fruits of Rarotonga’. The sea life abounds here and you don’t have to go miles out to get in some high quality snorkelling. Most resorts will have gear you can borrow, including fins, snorkel and masks. The island’s best snorkelling is reputed to be directly in front of The Rarotongan at the Aroa Lagoon Marine Reserve – or rau’i as it’s known traditionally – which has been in place for over 10 years. Once fishing was made taboo, a plethora of marine-life thrived, sheltered from the open ocean by the natural coral reef. Most resorts offer guests a range of water-based activities – most of them complimentary. 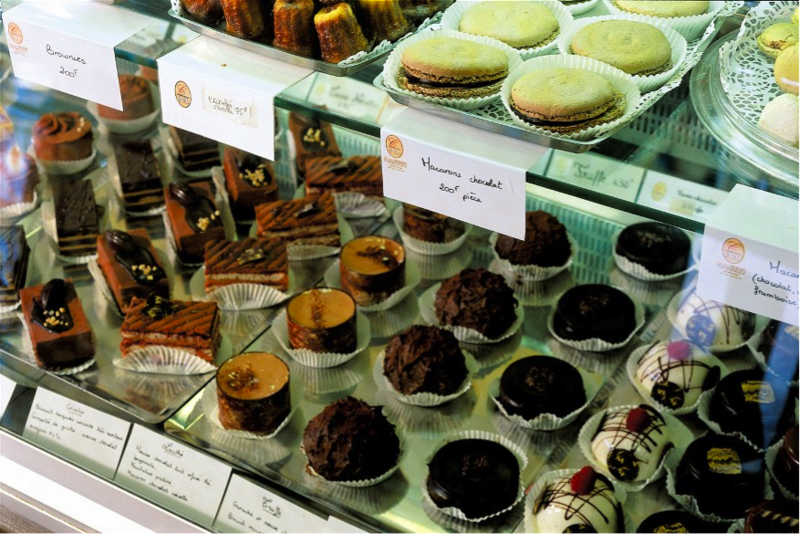 When it comes to cuisine, you’ll discover a vast array of styles and budgets. Trader Jacks was a place we’d heard of from previous visitors. To say we were unimpressed and disappointed is an understatement; both food and service were very average, but the atmosphere at the outdoor tables was certainly lively. We ventured off the beaten track and found a couple of excellent places where the seafood platters lived up to their billing. ? ?Tumunu Restaurant was by far and away our favourite, not far from the Edgewater, along the western side of the island. Decked out in a myriad of sporting paraphernalia, and with friendly staff in abundance, the food was superb. Try not to be tempted by the entrees unless you’re a big eater, as the main courses are huge and very filling. 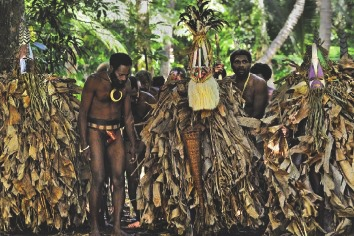 There are many places like Tumunu on the island, each with their own specialties. You’ll even find an Italian restaurant, an Indian restaurant, some lovely resort-based restaurants and a 24-hour chicken grill (local version of KFC). Honestly, the best thing is to do what any intrepid traveller should do…explore. Take a chance on a new place. We did with Tumunu, and we weren’t disappointed. If it’s the nightlife you hanker for, there are plenty of bars and a few nightclubs. The bars are dotted around the island, while the clubs are generally in and around the township. The island bus runs every night, some later than others, and is extremely efficient, so you don’t have to worry about driving home after a few drinks. Worst case, the taxi service is pretty good and relatively inexpensive. Or better yet, join The Rarotongan’s or Edgewater’s Friday NiteLife Tours and party with some great new-found mates and cheeky tour guides! The Cook Island people are very religious and NOTHING is open on a Sunday (except shops within the resort complexes, which are often surprisingly well priced). If you really want to understand the people of Rarotonga, spend the morning at one of the many Sunday Services … they welcome visitors, and the singing is incredible! Do remember to dress appropriately as church is a very formal affair here, and be prepared to be amazed by some of the hats and headwear! Most shops close around lunchtime on Saturday and stay closed until Monday, with the odd food mart open till late afternoon on Saturday. Talking of shopping, don’t forget to visit the markets, which are near the airport. Early Saturday morning is the best time to snap up some fresh produce and an amazing atmosphere. There are a number of dive operators around the island, so it pays to research where you want to dive and what you want out of it before you head off. Most operators offer a novice dive that is safe and gives the non-diver an opportunity to experience what us fanatics have enjoyed for years. Because of the proximity to the continental shelf, the sea life is abundant. Both Rarotonga and sister island, Aitutaki, are idyllic during Frangipani season (late October through to April) when you can enjoy all things quintessentially tropical – glorious balmy tropical weather, the scent of heady frangipani in the air and ripe, luscious and aromatic mangoes, pineapples, guavas, soursop, lychees, jackfruit and a whole lot more come into season, joining the year-round staples of papaya, coconut and banana. Frangipani season offers another advantage for the intrepid traveller – the days are about two hours longer than in ‘winter’, making it perfect for long cool cocktails on the beach as yet another sizzling sunset tears up the sky. During December and January you can see Rarotonga’s Circle Island Drive ablaze with Flame Trees, also known as the Cook Islands Christmas Tree. And unlike some island destinations which are closer to the Equator, it doesn’t get too hot, wet or steamy. When you have had enough of the sun, snorkelling, shopping or simply wandering through one of the beautiful gardens that are open to the public, why not find a tranquil spot under a swaying palm, order up a cocktail of your choice, and just chil-lax (chill out and really relax, all at the same time). Forget about the work piling up on the desk back home along with all the other concerns of everyday life … and remember, research has found that it’s just as essential for your good health and happiness not only to have 5+ fresh vegetables or fruits a day, but 5+ vacations or short breaks a year. Paradise comes on a prescription. Flights: Do be careful when booking your flights. Ensure you know, and are happy about, the arrival ad departure times … like many Pacific Island destinations, some of these times are not that user friendly. we flew Air New Zealand and arrived at a decent hour, but our departure was way before dawn. Air New Zealand and Pacific Blue offer regular flights. Departure tax must be paid on leaving (adults $55, children under 12 are now exempt). This can be paid at the westpac bank at the airport or in town. Accommodation: It should be noted that some of the more romantic and exclusive options in the Cook Islands forbid children … sometimes under 15, some up to 18. The Rarotongan Beach Resort & Spa, T: + 682 25800, www.therarotongan.com? Rumours of Rarotonga, T: + 682 75380, www.rumours-rarotonga.com? Climate: Temperatures don’t fall much below 20ºC and peak at around 30ºC. Finances & legal: entry is permitted with a valid passport and return air ticket. Extensions can be granted on a monthly basis for up to 5 months. Currency is the NZ dollar, supplemented by notes and coins minted for local use. Westpac, ANZ and Western Union have branches in town. There are limited ATMs, with Eftpos available from some hotels and stores. Credit cards are widely accepted. Vehicles: scooter licence will cost you $6, but you’ll also need to pay $6 for the compulsory practical test, too. motor vehicle licence is $20. You must present your current licence from home. Obtain licenses from the main police station in town.